© 2017 Steve Feinstein, inMusic, Inc. All rights reserved. 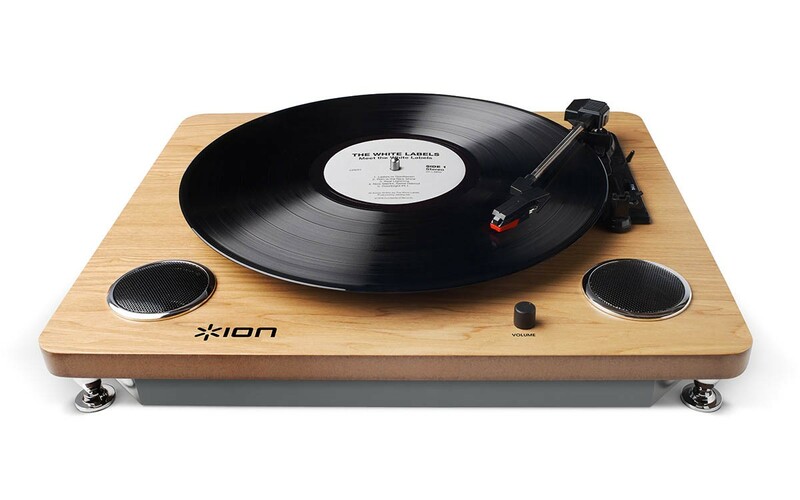 Turntables are enjoying a big resurgence in popularity these days, especially since ION Audio introduced the conversion turntable a few years ago. 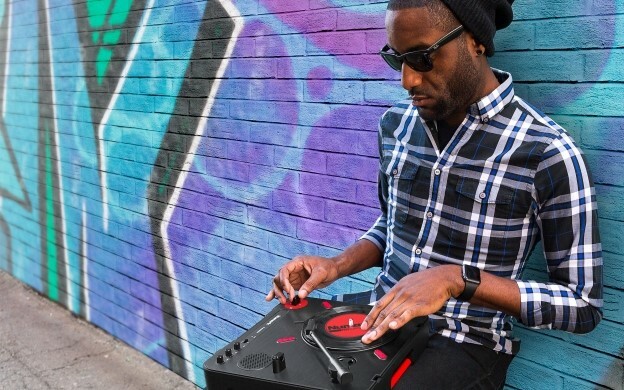 With an ION Audio or Akai Professional conversion turntable, records can be converted into digital files as they’re being played, so the music on your rare, prized records can be preserved digitally forever and, since they’re now digital files, you can play them on your portable device through your headphones or ear buds. Pretty cool. There is an undeniable attraction to playing records. Real music and equipment enthusiasts—so-called “audiophiles”—swear that nothing sounds as good, as realistic, as “organic” if you will, as a great record. Audiophiles tend to like the sound of analog records better than digital music. Very simply explained, a digital music copy is made by taking the original analog recording, breaking it up into thousands of small parts (or “bits”) per second and then capturing these small bits through the digital recording process. The more “bits” you can break an original recording into (called “sampling”), the better will be the final digital result. Today’s digital recording process does one heckuva good job at this. The average person would be very hard-pressed indeed to notice a definite difference between the analog original and a digital copy. In contrast, records—LPs and 45s—are analog recordings, not digital recordings. (Analog—as in an analogy of the original, something very similar.) When an analog recording is made, it attempts to record every note and sound exactly as it was played or sung. It’s very hard to do with complete accuracy and there are a lot of obstacles and technical limitations that intrude along the way that limit the accuracy (“fidelity” to the original sound) of an analog recording. Digital recording, with its sampling and bits, eliminates most of the shortcomings of the analog recording process and makes truly high-quality, portable music a reality today, in a way that analog recordings simply can’t match. “Eliminates most of the shortcomings” of an analog recording. But, unfortunately, digital recording introduces some new problems. Very simply stated (and I’m trying to avoid getting into the kind of heated ‘analog vs. digital’ recording arguments that techies seem to enjoy so much), aficionados of analog recordings—LPs and 45s—say that there is just no way to chop the original music up into a few thousand digital pieces and then reassemble it again without it sounding, well, kind of artificial. Sort of like a paint-by-numbers masterpiece by Monet or Picasso. Somehow, it’s not the same. You can tell the difference, even though it may be very subtle. 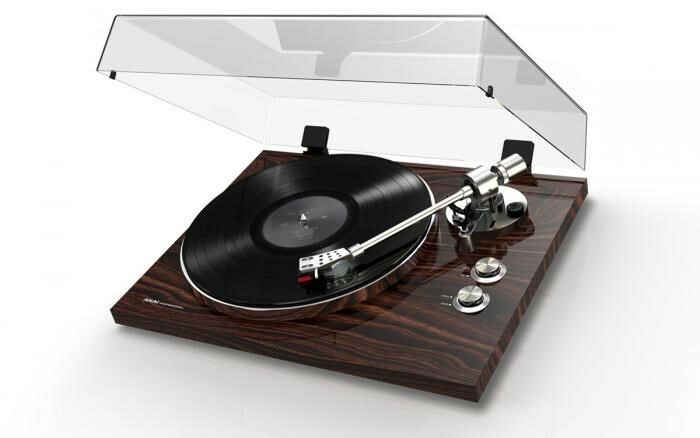 That’s one (sort of long-winded) explanation of why turntables are getting so popular again. Still with me? This is all going to make perfect sense and you’re going to understand it, I promise. You play records with a “needle,” right? You put the turntable’s tone arm down on the record (or the turntable does it by itself, if it’s an “automatic” turntable). Ahhhhh....that needle. First of all, we call that the stylus and it’s part of the cartridge, a complete little electro-mechanical device attached to the very end of the turntable’s tone arm. The cartridge may be a small device, but in a record-playing music system, it’s probably about the most important component there is. After all, the entire playback process starts with how well the cartridge/stylus does its job as it plays the record. If it doesn’t do its job well—accurately and reliably—then nothing else that follows in the chain matters. No matter how good the amplifier may be, no matter how good the speakers or headphones may be, if the cartridge/stylus doesn’t send them a good, clean signal, they’re doomed. Makes sense, right? There are two main types of cartridges and each has their strengths and their place in the record playback world. ION Audio and Akai Professional turntables use both kinds. A vinyl record has grooves with lots of complex squiggles that correspond very closely—“analogously,” hence “analog” recording—to the sounds made by the musicians and singers at the original recording session. When the stylus of the cartridge plays the record, the stylus is made to move back and forth by these squiggles in the grooves. 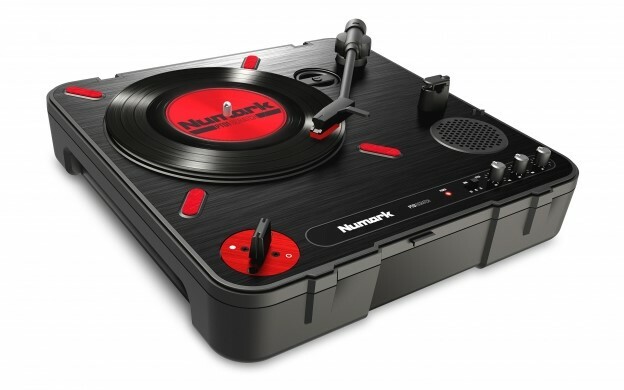 As the stylus moves, it causes the cartridge to generate an electrical signal that is sent out the turntable, which is then fed into the amplifier of the music system. The music system processes this signal—turns the volume up or down, adds bass or treble, etc.—and then sends that final signal out to the speakers or headphones. See? You understand this stuff, right? It’s easy. And I haven’t even needed to use any big words like “intermodulation.” And I won’t, I promise. Many ION turntables, the Akai Professional BT80 and the Numark PT01 Scratch use a ceramic cartridge. The back end of the stylus (which looks like a very short toothpick-like element) sits in a small block of ceramic material. The front end of the stylus has the diamond tip (you’ve heard that term many times in your life, right? “Diamond-tipped stylus.” Now you know what it means. ), and as the diamond-tipped stylus plays the record grooves, the back-and-forth motion of the stylus causes the ceramic element to produce an electrical signal in response to the motion of the stylus. That’s one way to do it. It’s simple, direct, rugged and reliable. All good. This type works completely different than the ceramic cartridge. Unlike a ceramic cartridge, the back end of the stylus in a magnetic cartridge is not embedded in a block of material. Instead, it’s free-moving. As the diamond stylus moves back and forth in the record groove, the back end of the stylus is also moving freely. Imagine you’re holding a pencil between your thumb and forefinger. (Go ahead—please pick up a pencil and hold it in the middle.) As you move the pointed end of the pencil, the eraser end moves correspondingly. It’s like that. But a magnetic cartridge doesn’t have an eraser on the back end, the end that’s inside the cartridge body. It has a little magnet. The inside of the cartridge body has four small wire coils. As the stylus moves, the magnet moves closer to and farther away from those coils. When a magnet is moved in relational proximity to a coil, an electrical signal is generated. (Now you see why it’s called a magnetic or moving magnet cartridge.) This starts the same process as we described above—the signal goes through the turntable, into the music system and out to the speakers. Which one is better and what are the pluses and minuses of each? A ceramic cartridge also has a higher-level, louder electrical output, so you can feed it directly into a music system without needing any further electronic manipulation. 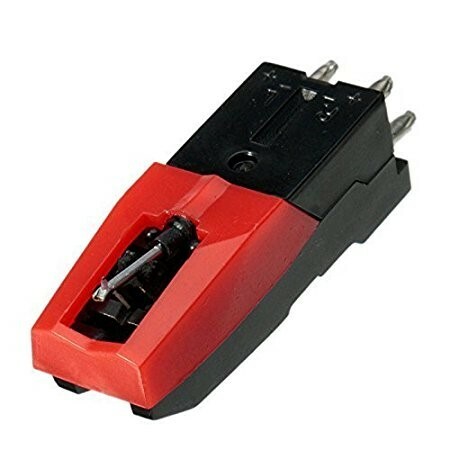 A moving-magnet cartridge has a much softer, lower-level output so you need to amplify its signal first before it goes into the rest of the system. You’ve heard the term “phono pre-amp”? That’s what this is: a special circuit that amplifies the signal from a magnetic cartridge before that signal can be correctly processed by the main music system. Ceramic cartridges and their replacement styli are also considerably less expensive than magnetic cartridges. Some audiophile magnetic cartridges and their replacement styli can cost hundreds of dollars!! Ok, a magnetic cartridge sounds like a big hassle. Expensive. Fragile. Needs a special pre-amp. Why put up with them? Simple answer: They sound better, so for many people in certain situations, magnetic cartridges are worth the trouble. They can trace the little squiggles in the record grooves much more accurately than a ceramic cartridge can, because a magnetic cartridge is “faster” and “lighter on its feet.” You get a much better, more accurate representation (better “analogy”) of the sound from the squiggles of the record’s grooves. There is far less record wear when using a magnetic cartridge. Since the stylus of a magnetic cartridge moves more freely, it doesn’t require the same high downward force in the record groove in order to follow the squiggles that a ceramic cartridge requires. Think of a ceramic cartridge sort of like a flat-bladed food scraper and you’re trying to scrape off the baked-on remnants from a roasting pan. Those baked-on remnants are the delicate record grooves. The food scraper is a ceramic cartridge. It’ll just scape off the delicate peaks of the record grooves after several playings and you’ll notice that as an annoying increase in “record scratching” sounds and a loss of high frequencies. A magnetic cartridge won’t “scrape off” the record grooves anywhere near as fast. Therefore, audiophiles who do a lot of critical music listening in a quiet home environment with expensive equipment tend to like magnetic cartridges, while more casual listeners are fine with the lower cost and fewer complications of a ceramic cartridge. Both ceramic and magnetic cartridges work very well and they both have their place. We’re proud to offer each kind so the customer can choose exactly the cartridge that suits their needs the best.